Why did I begin this insane project? If it started on Martin Luther King Day then why do my knees feel like I've been picking cotton for 100 years? This is only the first stage. The next step is to grout it all. And that's not easy because I have to float the grout high enough to level all the jagged edges off. My back is crying like an overused metaphor. At least the tiles are down. I did the math and it is about 20,000 individual pieces that had to be buttered with mortar and fit in exactly next to the others. I will never do a jigsaw puzzle again. My knees feel like they need their oil changed. All I get out this deal is waffles and sausage and eggs to keep my high blood pressure climbing. There is no dollar amount I'd place on this much hand labor. Next week a tornado is probably going to take the whole house away. 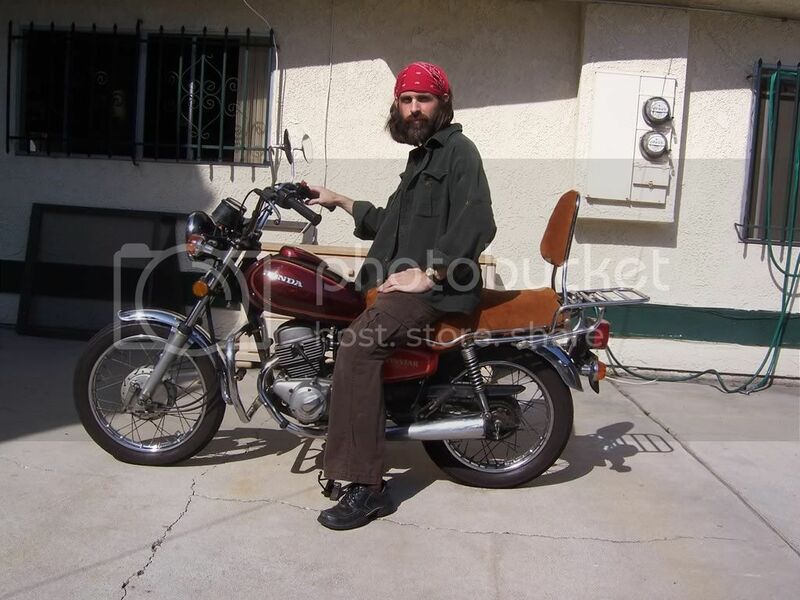 Fortunately, I think I've found a 1976 CB 550 Four in town that has a price tag I can afford. The plan is to ride the bike to the arctic circle with my 70s flare pants and flag that says, "Sleazy Rider!" OR as someone said in Los Angeles when they saw me riding my overbored 1981 Honda Twinstar with roman sandals on, "Born to be mild."